Happy Monday! Today’s post is a very important one which I am really looking forward to sharing with you. It’s a post in which I am going to ask for your support for a very worthwhile cause and I know you will all help me in getting the word out about the #Boxathon initiative. There’s also a short video on the Bec Boop YouTube channel which you can check out below. 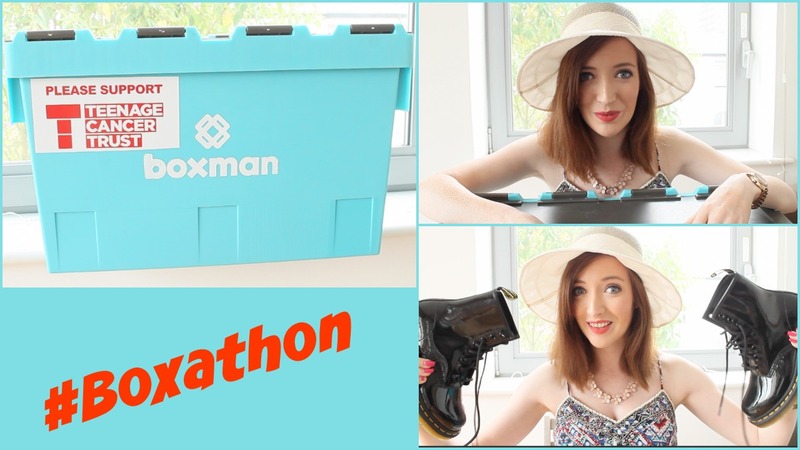 Boxathon is a charity initiative organised by the people at Boxman London to raise funds for the Teenage Cancer Trust. They have sent their blue storage boxes to a number of celebrities, youtubers and bloggers in the UK. Each donor has put something very special in the box and all of these items will be auctioned on June 27th to raise funds for the Teenage Cancer Trust. Those taking part include actor Benedict Cumberbatch, boxer Barry McGuigan, youtuber Zoella, some of the stars of the British TV show Made in Chelsea, bloggers Lily Pebbles, Two Shoes One Pair & The Ugly Face of Beauty and….Bec Boop! You can check out the items up for auction so far on Boxathon.co.uk and follow #Boxathon on social media to find out more. Well guys let me say I was thrilled to be involved as soon as the Boxman London team contacted me. I had no idea who else was taking part but of course I wanted to support such a great cause and help raise vital funds for the Teenage Cancer Trust. I am honoured to be included amongst these top celebs in supporting the fundraiser. I had to think long and hard about what to donate and in the end I have given my favourite Dr. Martens boots towards the auction. You might remember I got these boots when I visited the Dr. Martens factory as part of my prize for winning the Dr. Martens/Walk Shoes Style Blogger competition so these ones are super special and meaningful to me. There’s also so easy to style and look fab! The boots are UK size 3, black patent Dr. Martens and you can bid on them right here when the auction opens on June 27th.